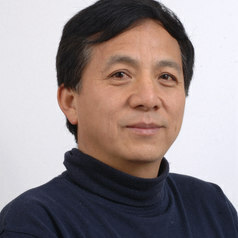 Lu Zhang obtained his PhD from Free University Brussels in 1992 and now is a Senior Principal Research Scientist and Team Leader at CSIRO Land and Water in Australia. He is also Honorary Professor at the China Agricultural University and Institute of Geographic Sciences and Natural Resources Research, Chinese Academy of Sciences. Lu has over 20 years’ research experiences in catchment hydrology, vegetation-water relationships, salt and water balance modelling and ecohydrology. He has published widely in these areas, with over 150 co-authored peer reviewed publications. His research has significant impact on international science and the Australia water industry. Lu is known internationally for his research on quantifying vegetation impact on catchment scale water balance and he was awarded CSIRO Chairman’s Medal in 2008 for his contribution to Murray-Darling Basin Sustainable Yields Project. He has led major projects for the Murray-Darling Basin Commission, CRC for Catchment Hydrology, Land and Water Australia, Australian Greenhouse Office, ACIAR, and WfHC. Lu collaborates widely with colleagues from CSIRO, Australian universities, and overseas research institutes and universities.